One thing to be aware of is that the measurement (45 degrees anti-clockwise from the master spline) is not definitive, but approximate. 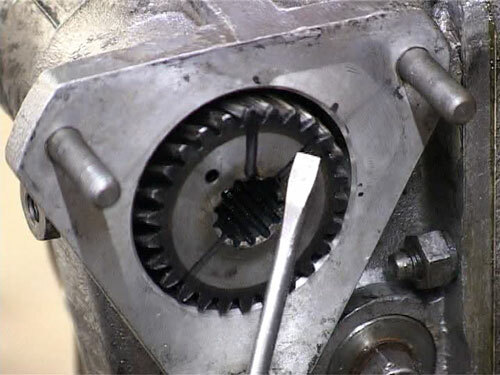 Another difficulty here is that the gear rotates as it slides in and meshes with the intermediate gear. It is the fully meshed poistion of the gear when the 45 degree line should be close to vertical. After fitting the injection pump it may be found that the ‘G’ mark will not line up with the circlip as it should. If this is the case it would then be necessary to rotate the injection pump timing gear by one tooth (in either direction) and refit. 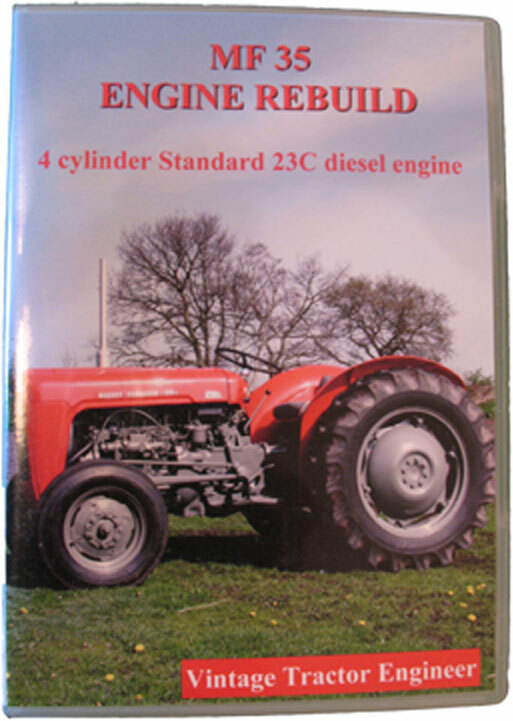 Hi, excuse my offtopic question, i have a massey 1100 with the perkins a6.354 engine. 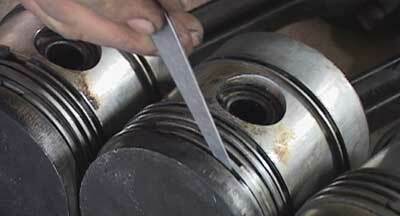 I know, that i need to set the number one piston to TDC on compression stroke (no 6 cylinder valves rocking). Then, when i have timed the engine this way, and the pump is lined up to letter F as described in the service book, the tractor will not start and smokes white. I do have another mark on the flywheel, its the number 22. Doest that mean 22 degrees BTDC is the mark where i need to set the pump to F? I want to remove my injector pump to put in new seals.when I line up the flywheel mark with the dot on the case ,and remove plate on the side of the pump to check the letter that lines up with the top of the cir clip theye don’t line up .The mark is not at the top of the circlip it’s down at the hole on the circlip is this OK or not. I want to remove my injector pump to put in new seals.when I line up the flywheel mark with the dot on the case ,and remove plate on the side of the pump to check the letter that lines up with the top of the cir clip theye don’t line up .The market is not at the top of the circlip it’s down at the hole on the circlip is this OK or not. Yes, there is just one reservoir for the whole of the rear end of the tractor. Yes, that’s right. The timing chain needs to be correct first. …and as you say, turning the pump for fine tuning can be done to get the best running characteristics. 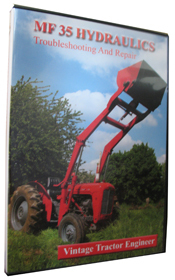 I overhauled a Ferguson 35Fe using your DVD. Timing starts with the timing chain, get it right, then proceed. when the smoke stopped it was in the right position.